Litter-Robot Blog | Page 9 of 29 | Thoughts from outside the litter box! It seems that love for our Litter-Robot comes in many different forms. Some write colorful reviews, others post photos of their cats using the Litter-Robot, while still others have taken to naming or nicknaming their automatic self-cleaning litter boxes. Here are some of the more interesting nicknames given to the Litter-Robot. 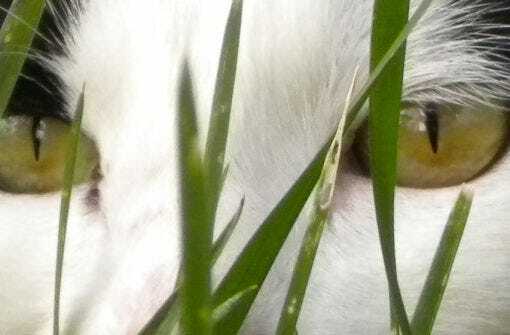 Though this may sound ridiculous, cats are actually the perfect assassins, with their ninja-like agility, their imperceptible stealth, their razor sharp claws and teeth, and their penchant for settling the score. Here are a few ways to tell if your cat is trying to kill you. The Best Self-Cleaning Litter Box: Why The Litter-Robot? With so many self-proclaimed “best” self-cleaning litter boxes out there, it’s no wonder you are unsure about which is really the best. We’ve compiled some very telling reviews and performed a thorough comparison between the alleged top models so that you can see why the Litter-Robot is actually the best self-cleaning litter box on the market. Self-Cleaning Litter Box Reviews: Litter-Robot Reigns Supreme! There seems to be very little dispute or disagreement over the supremacy of the Litter-Robot over all other automatic self-cleaning litter boxes on the market today. Here are just a few of the thousands of extremely congratulatory reviews all over the web. 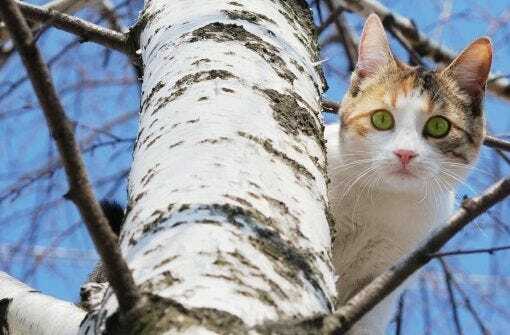 Your outdoor cat thanks you for letting it run wild, but there are also some concerns that ought to be addressed. Here are some pros and cons for allowing your cat to roam, and some important tips for keeping it safe while it’s out there. 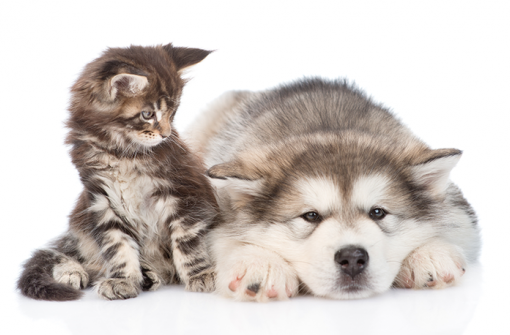 Though it can be okay in small doses, you dog really shouldn’t be eating too much cat food, as it’s not designed for a doggy’s, but rather for a kitty’s digestive system and nutritional needs. Here are some ways to keep your dog out of your cat’s food. Dry Food vs. 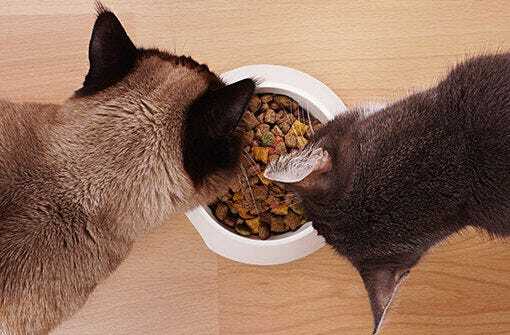 Wet Food: Which Is Better For Your Cat? It’s an age-old debate, whether you should feed your cat dry food or wet food. This can cause cat owners to begin spinning in circles, but before you get all worked up about it, here are some basics to consider when trying to decide. You want reasons to not buy an automatic litter box? To not avoid the nuisance of scooping your cat’s poop, and wasting precious minutes of your day that could go towards more important tasks? Here we provide you with a list of the 5 reasons you should not buy an automatic litter box. No matter how frustrated, appalled or rejected we may be by our cats, there’s no such thing as not finding them absolutely the most adorable little buggers around. Here, just to confirm that you don’t have some kind of possessed demon cat, are a few examples of other peoples’ cats acting in a not very nice way. Cat Furniture: Spotting Trends & Buying For The Future! Your cat may be an adored and respected member of your family, but that doesn’t necessarily mean that your cat’s litter box is one of your favorite home furnishings. 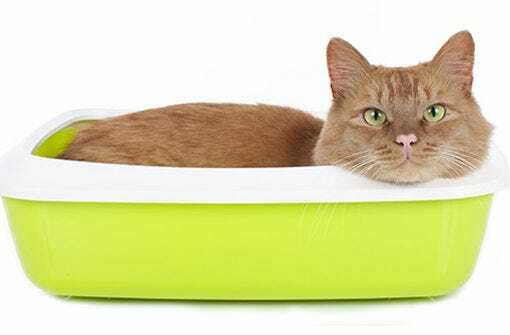 We’ve gone ahead and compiled a few great ways to minimize the presence of your cat’s litter box through some really creative DIY and store-bought solutions. Here are a few thoughts, ideas, examples and what have you for how to better camouflage your cat’s litter box, such as matching your litter box with other furniture or your home design. When Does Your Kitten Become A Cat? We know that you’d prefer if your little adorable kitten never grew out of kittenhood and into full-fledged cathood. Although when a kitten stops being a kitten may seem like a discussion in semantics, there are some very real consequences to your little kitty growing up, and we thought we’d share a bit about a kitten’s development with you. There are so many options out there when it comes to picking the right litter box for your cat. How can you be sure that you’re making the best decision for both you and your kitty? Well, here’s a brief overview of the various options and what makes each a contender to consider. We’ve said it once and we’ll say it a thousand times, your cat’s litter box can be an expression of your most distinctive personal identity. Whether you have a conventional or a more technologically advanced litter box, the possibilities are endless when it comes to personalization. With so many different pet care products on the market today, it can be more difficult than it used to be trying to figure out which are best for you. Here we’ve broken down a few of our best-selling products as they apply to different types of homes. Although you might think it’s inevitable, your cat’s litter box doesn’t have to be absolutely rancid. And while you may not even notice it, the company you keep can certainly tell the difference between the smell of you making an effort and the smell of you not. 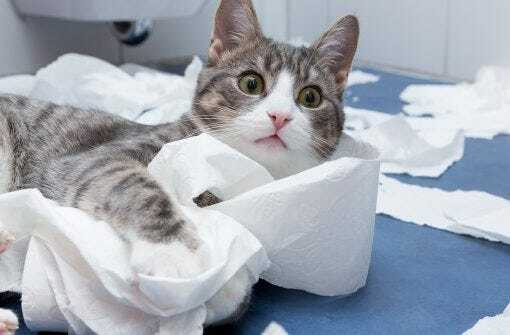 So, why not try out these easy tips, courtesy of Petfinder, for your own litter box malodors. What Is The Best Cat Litter? Here’s The Scoop! With so many different kinds of cat litter on the market, and each claiming to be the best, it can be difficult to know what’s what and who to trust. That’s why we thought that this simple, educational breakdown of the different cat litters out there might be of some use to you. Are you sick and tired of repeated back-breaking crouches that bring you in close proximity to your cat’s waste? Thanks to the Litter-Robot, those days are over! Discover the future of litter box technology: the self-cleaning litter box! Whether it’s a matter of life or death, or you simply want to have a closer relationship with your cat, training is a great way to spend some productive quality time together. Here are some ways to create the strongest bond and the most trust between you and your cat. Sure, your cat loves you plenty, but sometimes it just wants to go play on stuff. You and your cat will love each other all the more if you get it some awesome play structures, especially if the alternative is your cat bouncing around and tearing up your furniture. Here is some of the best cat furniture on the market. Here are some of the most popular names being issued to our feline friends today. Some are also people names, some are more specifically for cats, but they’re all as lovely and splendid as the next, and, really, as long as you’re happy, that’s all that matters. Bringing home a new cat can be a difficult period of adjustment. 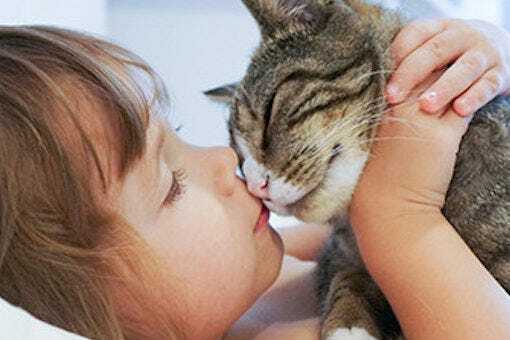 Small children are often less attuned to this acclimation process, and therefore are sometimes less patient with your new cat’s need for space, privacy and time to familiarize itself. Here are a few ways to acclimate your new cat to your kids. 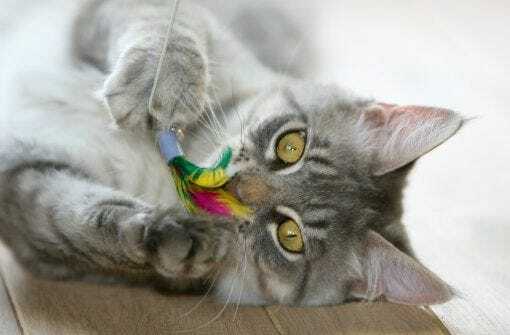 Cat Toys: Which Is Right For Your Cat? Regular play is a part of a healthy lifestyle for cats of all ages. Cats may, on average, be even more creative than dogs when it comes to making a plaything out of seemingly ordinary items. You only need solutions when there’s a problem, and if you’ve got a problem with your cat using its litter box, then you’re going to need some good solutions and you’re going to need them fast. Here are some common tips on how to make both you and your kitty happy when it comes to where business is done. Baby On Board? Acclimate Your Cat Or Kitten! If you’re expecting, then you’ve probably got quite a few things on your mind. If there’s one thing that you shouldn’t have to stress over, it’s making sure that your cat will be acclimated to the presence of a new member of the family. Here are a few easy ways to make sure that your cat and your baby get off on the right paw. Best purchase I’ve made in a long time! Anyone that has cats should get one of these. What a great product and worth every penny! Get a Litter Robot, you will NOT regret it. No dust, no smell, minimal litter tracked throughout the house so this thing is a winner. Your cat should be able to maintain its own hygiene with its own grooming. Cats are capable of using their tongues and teeth to clean and groom their coats as needed. Occasionally, however, your cat may find its way into something exceptionally dirty and you may need to give it a bath. 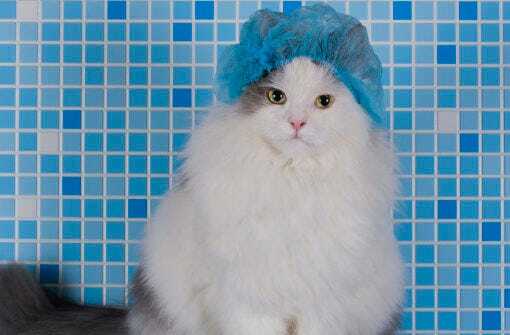 Here are some tips for how to bathe your cat. If you purchase the Litter-Robot you will get what you paid for. It was so worth the investment.